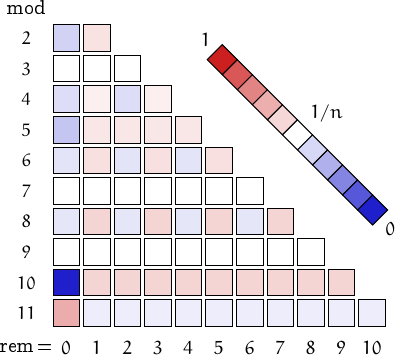 A number is palindromic in base (usually base 10) if the representation in that base is the same read from the right or from the left, as in 1257521, or in which is the representation of 9 in base 2. A palindrome is nontrivial if it has more than one digit. 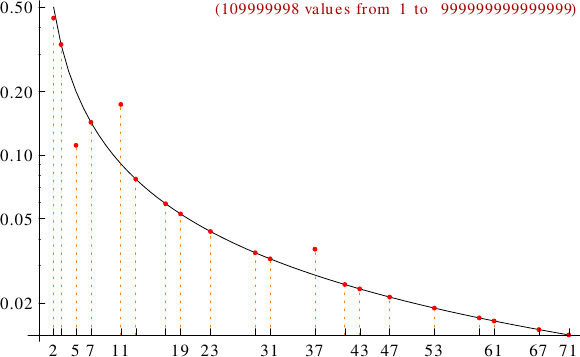 A graph displaying how many palindromic numbers are multiples of the primes p from 2 to 71. In black the ideal line 1/p.